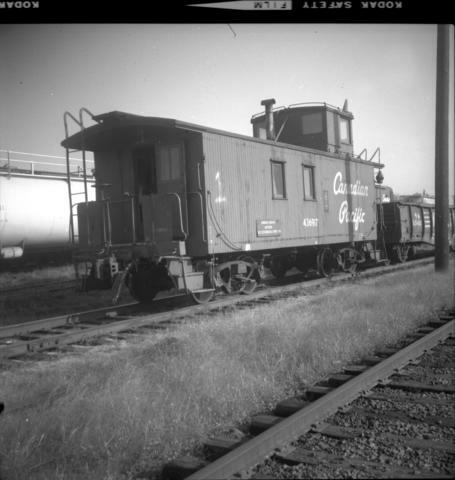 Photograph depicts a CPR caboose #436917 in New Westminster. It is all wood and was built in 1928. It was lettered "Rubbish service between New Westminster and Coquitlam." A crewman said it was quiet running compared to modern all metal ones.